STURGIS, SD (November 15, 2012) The Sturgis Buffalo Chip’s Student Build Challenge™ kicked off it’s 4th annual motorcycle build educational program at Brown High School in Sturgis South Dakota. As part of the program, students will transform a 2012 Harley-Davison® Road King donated by Black Hills-Harley Davidson, into a one of a kind, show quality custom bike. The new custom bagger will feature hand fabrication and high end aftermarket parts and accessories from industry leading brands making it an instant classic ready to compete in world class bike shows or long haul riding. The completed custom creation will be auctioned off at the Buffalo Chip® during the Sturgis Motorcycle Rally in support of the Legends Ride charity event on Monday August 5, 2013. Learn more about the Sturgis Buffalo Chip’s Student Build Challenge™ and reserve your tickets for the Legends Ride now at www.LegendsRide.com. Students of Brown High School in Sturgis are beginning the initial stages of the build challenge that will give them insights and hands on experience on how conceive, design and build, what is expected to be one of the top custom bikes in the nation. Under the instruction of V-Twin industry veteran Keith Terry of Terry Components and Nick and Randy Kramer of Dakota V-Twin in Spearfish, SD these Future Technicians will transform a stock Harley-Davidson into a one of a kind custom touring classic. 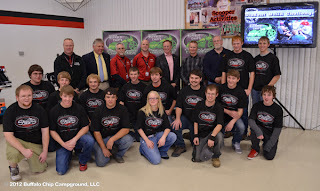 The Sturgis Buffalo Chip’s Student Build Challenge™ is a unique opportunity giving students valuable knowledge and experience that can aid them when entering the South Dakota work force in the future. 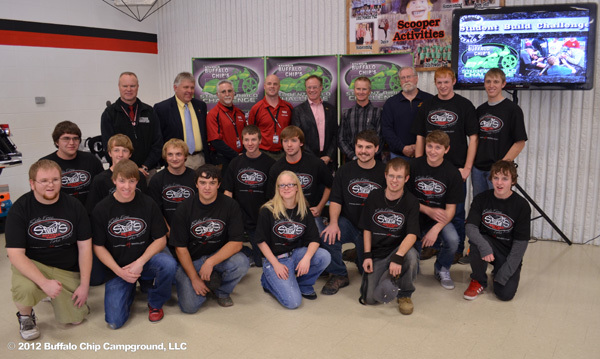 The Sturgis Buffalo Chip® is proud to champion the Student Build Challenge ™. The public is invited to follow the Student Build Challenge™ build at http://www.facebook.com/SturgisLegendsRide, where pictures and video of the Student Build Challenge™ will be published. More information including reservations for the Legends Ride 2013 can be made by visiting www.BuffaloChip.com or calling (605) 347 9000. About The Sturgis Buffalo Chip- The Sturgis Buffalo Chip®, The Official Destination of the Sturgis Rally, will hold its annual concert series on August 2– 10 2013, The Largest Music Festival in Motorcycling™ and the Sturgis rally’s cornerstone event will celebrate its 32nd consecutive annual concert series at their famed camping resort and entrainment complex. 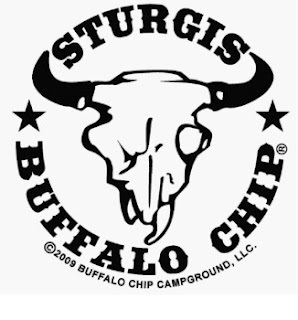 Since 1982, the Sturgis Buffalo Chip® has provided unforgettable live music experiences and exciting activities for fans from around the world. The Sturgis Buffalo Chip® attracts the music industry's hottest stars and emerging talent and hosts a diverse selection of food and beverage vendors and interactive exhibits. Set on 580 acres, three miles East of Sturgis, the Buffalo Chip® is a festival experience like no other. More details are available at www.BuffaloChip.com.